World of Warcraft: Battle for Azeroth Deluxe Edition is rated 4.1 out of 5 by 10. Azeroth paid a terrible price to end the apocalyptic march of the Legion's crusade - but even as the world's wounds are tended, it is the shattered trust between the Alliance and Horde that may prove hardest to mend. As this age-old conflict reignites, gather your allies and champion your faction's cause - for Azeroth's future will be forged in the fires of war. 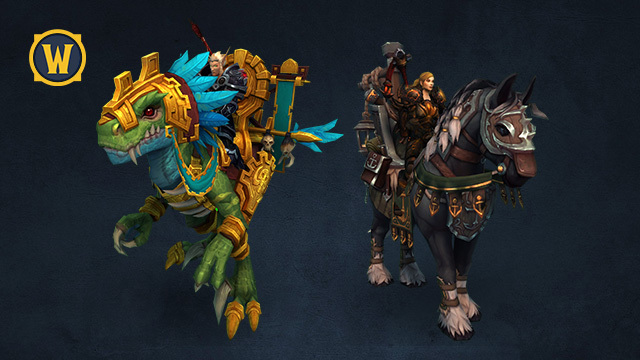 Ride proudly astride the Seabraid Stallion mount as you fight for the Alliance, or prove your allegiance to the Horde with the Gilded Ravasaur mount. No matter the battle or adventure, you'll be ready. 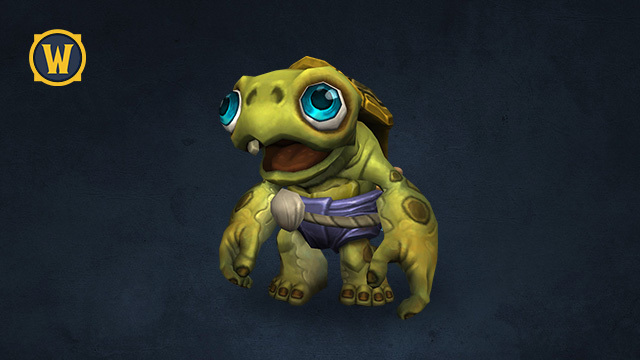 Whether you're fiercely battling other pets or simply want to put your feet up on its sturdy shell, Tottle the baby Tortollan pet's got you covered. 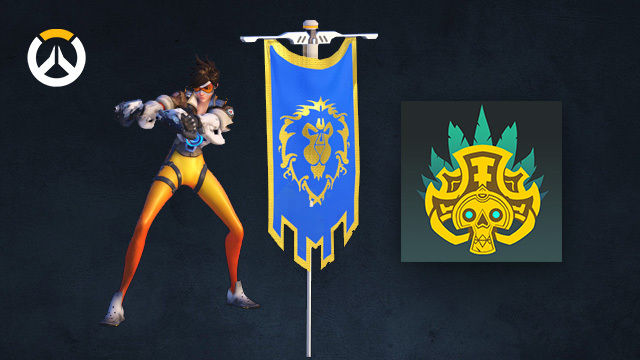 Show your faction pride on the battlefields of tomorrow with Horde- and Alliance-themed voice lines for Torbjorn; emotes for Tracer; Anduin, Jaina, Sylvanas, and Saurfang sprays; and Kul Tiran and Zandalari player icons. 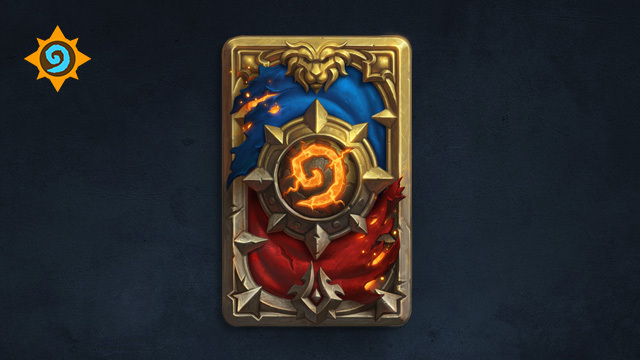 The Azeroth is Burning card back will add firey style to your favorite Hearthstone decks. Just be sure not to set the whole board alight! With new Horde and Alliance sprays, you can cover the map as you conquer your foes. 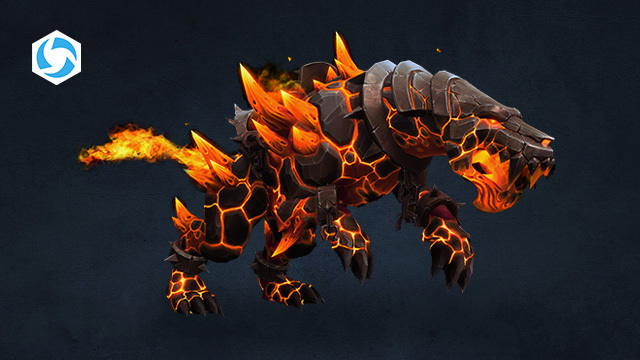 Prowl into the Nexus with your new Primal Flamesaber mount. With three color variants (Green, White, and Toast) you'll ride into battle in style. Enter a World Divided - Experience the relentless conflict at the heart of the Warcraft saga. Quest to level 120, play through six new zones filled with new World Quests, new World Bosses, new raids and more. 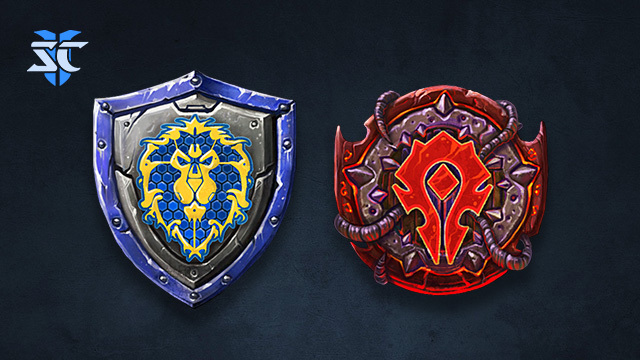 You determine whether the Horde or Alliance will shape Azeroth's future. Recruit Allied Races - Explore Azeroth as one of six new playable Allied Races, including four you've encountered in your campaign against the Legion. Embark on a quest to earn their favor and unlock each race, adding their strength to your faction. Create a new character and complete the full leveling experience to earn a distinctive Heritage Armor set. Plunder Uncharted Islands - Set sail for the previously unmapped isles of Azeroth. Battle in groups of three as you race against cunning rival intruders - or enemy players - to collect the island's resources. Constantly evolving challenges await as you traverse frozen landscapes near Northrend, open the mysterious gates of an abandoned Gilnean castle, navigate a war between elementals and more. Storm the Warfronts - Head to the frontlines and take part in a large-scale 20-player cooperative Warfront to claim a key strategic location. Build up your faction's forces, lead the charge as your troops lay siege to the objective, and battle fight the against enemy commanders as they make their last stand in this new PvE mode inspired by classic Warcraft RTS battles. Infuse Armor with Titanic Might - Take control of the Heart of Azeroth - a legendary neck piece entrusted to you by Magni Bronzebeard. Imbue it with Azerite, an invaluable resource that's emerged in the Legion's wake, to customize your armor with new powers and traits. Includes Level 110 Character Boost - Enter the raging conflict between the Horde and the Alliance prepared to survive the on the front lines of a vicious new war. Keyboard and mouse required. Other input devices are not supported. *Pre-purchase: Battle for Azeroth will be released on August 14, 2018. *Pre-purchase of World of Warcraft: Battle for Azeroth makes available the questlines which enable players to access the Highmountain tauren, Lightforged draenei, Nightborne, and Void elves. To unlock Allied Races quest lines, players must have a level 110 character and have met specific questing and reputation requirements on the factions that each Allied Race is aligned with. *Digital Deluxe items will be available on or before the release date of the game. *Internet connection, Battle.net® registration, and Blizzard Battle.net desktop application required to play. *Requires World of Warcraft and Legion. *Requires subscription or game time. If you are a fan of the World of Warcraft franchise, check out all the latest World of Warcraft: Battle for Azeroth games and accessories available for PC now.